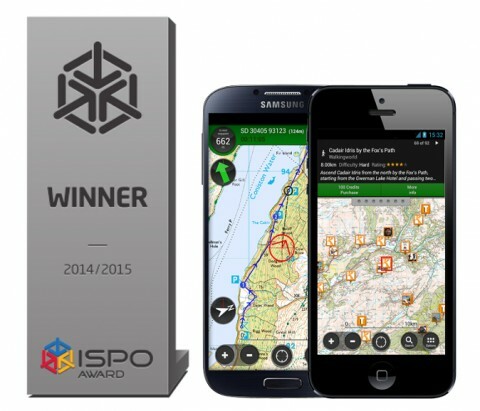 Every year, ISPO honours the most exceptional sporting goods with the ISPO AWARD, and here at ViewRanger we are delighted to have been chosen as a winner in the mobile apps category 2014. The app will be showcased at their trade show, ISPO Munich, to take place on 26-29 January 2014. The ISPO jury, consisting of independent sports business experts and professionals, evaluates several hundred entries following clearly defined criteria. Given the award's international recognition, their premium selection presents a welcome orientation for both sports business professionals as well as end-consumers. Watch 2013 ISPO award trailer. "I am delighted with this award from ISPO and see it as a welcomed industry endorsement of an app we know already has the approval of users worldwide. We are very proud of this recognition as well as of the of ViewRanger community that uses it as their preferred tool to guide them in their outdoor activities. Their continual interaction on the ViewRanger community website - my.viewranger.com - proves how sharing adventures both in the real world and online can enhance our enjoyment of the great outdoors. The beauty of the app is that it is simple yet reliable enough to be used by everyone, from Sunday strollers to mountainbikers, mountaineers and Arctic explorers. Not only this, but it also used by more than 100 search and rescue teams worldwide, which is testimony to its quality." ViewRanger pioneered the concept of outdoor GPS navigation on smartphones and has achieved #1 Best-Selling app status (across all categories) on Apple iPhone and #1 app within its category on iTunes App Store in more than twenty countries. The app has also achieved multiple #1 ranking on Google Play and Nokia OVI App Stores. ViewRanger provides access to the largest selection of internatiional mapping, downloadable to the smartphone ready to use, without the need for a mobile signal. GPS technology shows a user’s location and can also provide active navigation of routes offered by over 400 different publishing brands. Routes can be recorded and shared, with community users' routes appearing alongside those of professional publishers', thus creating one of the largest libraries of off-road routes in the world. No wonder people want to tap in and get involved!